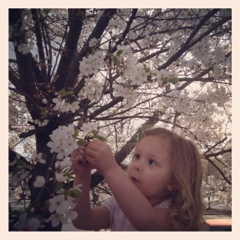 There are flowering trees everywhere here. These gorgeous ones were in the Best Buy parking lot. 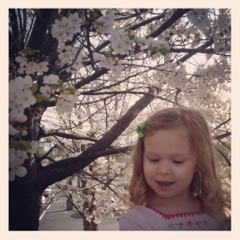 Elizabeth yells “I see beautiful flower trees” while we drive in the car.